In preceding chapters, the multiplication factors have been analysed in order to understand a steady-state condition. Also the operational changes that influence the criticality of the reactor were described. It must be noted, nuclear reactors are not always critical. In order to start it up or to shut it down, the keff must be changed for a certain period, which in turn changes the neutron population in the reactor core. 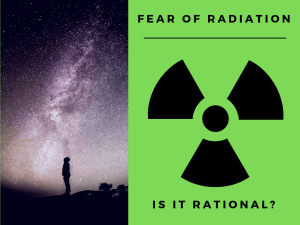 The study of behavior of the neutron population in a noncritical reactor is called reactor kinetics. 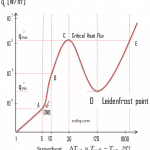 From this point of view, the state of a reactor can be distinguished by following criteria. The basic classification of states of a reactor is according to the multiplication factor as eigenvalue which is a measure of the change in the fission neutron population from one neutron generation to the subsequent generation. The definitions described above are fully applicable to a reactor at zero power level, that is at such power level in which all thermal considerations are not important to the chain reaction (let say from zero power to 1% of rated power). The simplest equation governing the neutron kinetics of the system with delayed neutrons is the point kinetics equation. 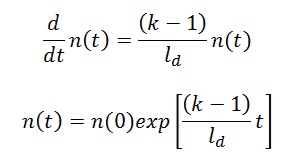 This equation states that the time change of the neutron population is equal to the excess of neutron production (by fission) minus neutron loss by absorption in one mean generation time with delayed neutrons (ld). The role of ld is evident. Longer lifetimes give simply slower responses of multiplying systems. The number of neutrons (the neutron population) in the core at time zero is 1000 and k∞ = 1.001 (~100 pcm). Calculate the number of neutrons after 100 generations. Let say, the mean generation time is ~0.1s. N50=N0. (k∞)50 = 1051 neutrons after fifty generations. N100=N0. (k∞)100 = 1105 neutrons after hundred generations. If we consider the mean generation time to be ~0.1s, so the increase from 1000 neutrons the 1105 neutrons occurs within 10 seconds. For power reactors at power conditions the reactor can behave differently as a result of the presence of reactivity feedbacks. 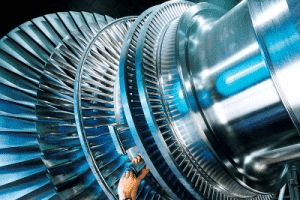 Power reactors are initially started up from hot standby mode (subcritical state at 0% of rated power) to power operation mode (100% of rated power) by withdrawing control rods and by boron dilution from the primary coolant. During the reactor startup and up to about 1% of rated power, the reactor kinetics is exponential as in zero power reactor. This is due to the fact all temperature reactivity effects are minimal. On the other hand, during further power increase from about 1% up to 100% of rated power, the temperature reactivity effects play very important role. As the neutron population increases, the fuel and the moderator increase its temperature, which results in decrease in reactivity of the reactor (almost all reactors are designed to have the temperature coefficients negative). The power defects slightly depend on the fuel burnup, because they are determined by the power coefficient which depends on the fuel burnup. The power coefficient combines the Doppler, moderator temperature, and void coefficients. It is expressed as a change in reactivity per change in percent power, Δρ/Δ% power. 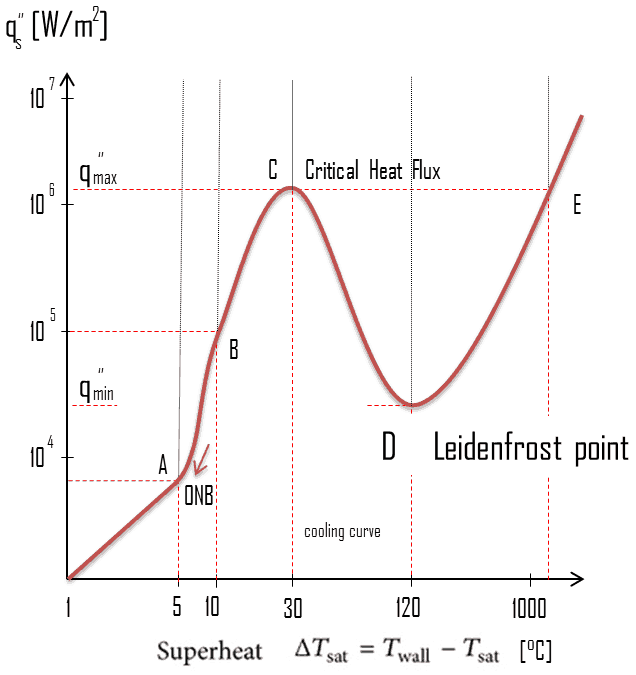 The value of the power coefficient is always negative in core life but is more negative at the end of the cycle primarily due to the decrease in the moderator temperature coefficient. It is logical, as power defects act against power increase, they act also against power decrease. 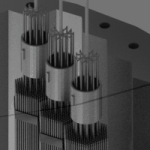 When reactor power is decreased quickly, as in the case of reactor trip, power defect causes a positive reactivity insertion, and the initial rod insertion must be sufficient to make the reactor safe subcritical. 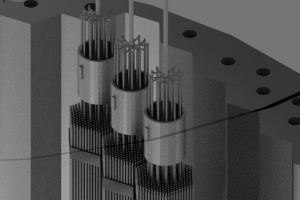 It is obvious, if the power defect for PWRs is about 2500pcm (about 6 βeff), the control rods must weigh more than 2500pcm to achieve the subcritical condition. To ensure the safe subcritical condition, the control rods must weigh more than 2500pcm plus value of SDM (SHUTDOWN MARGIN). The total weigh of control rods is design specific, but, for example, it may reach about 6000pcm. To ensure that the control rods can safe shut down the reactor, they must be maintained above a minimum rod height (rods insertion limits). The basic classification of states of a reactor may be in some case insufficient and a finer classification is needed. The finer classification takes into account the two groups of neutrons that are produced in fission. 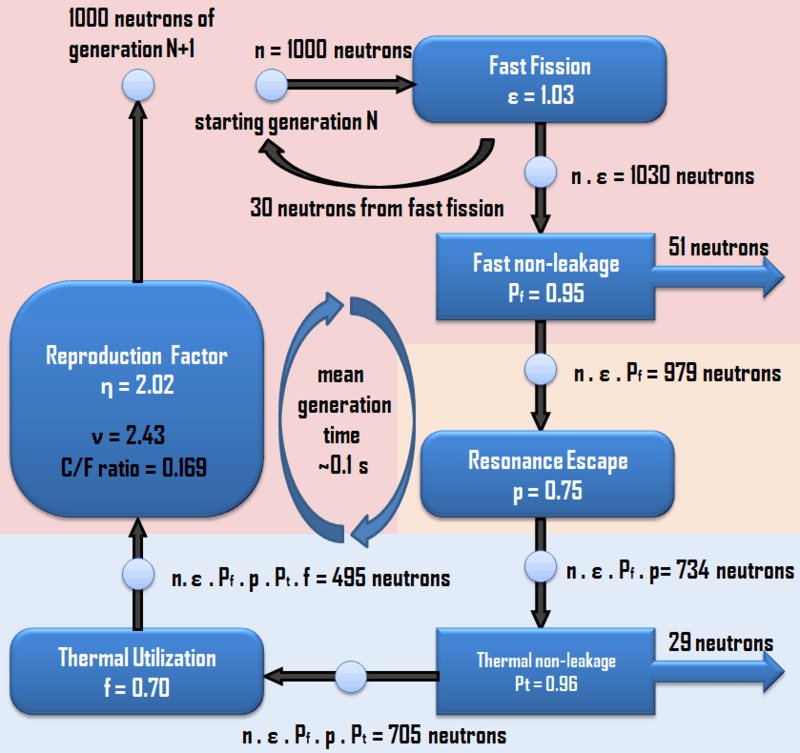 The fact the prompt neutrons are emitted within 10-14 and have significant shorter mean generation time (~ 10-5s) than delayed neutrons (~0.1s) have crucial consequences. The period of ~10-5s is very short and causes very very fast response of the reactor power in case of prompt criticality. 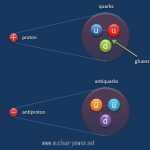 The state of reactor, when the chain reaction is self-sustained only by prompt neutrons, is known as the prompt critical state. This state of the reactor is very unstable, because one neutron generation takes only ~10-5s. Therefore nuclear reactors must operate in the prompt subcritical, delayed critical condition. 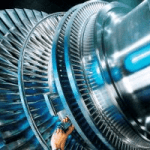 All power reactors are designed to operate in a delayed critical conditions and are provided with safety systems to prevent them from ever achieving prompt criticality. 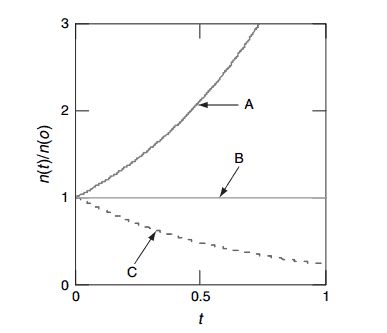 For typical PWRs, the prompt criticality occurs after positive reactivity insertion of βeff (i.e. keff ≈ 1.006 or ρ = +600 pcm). In power reactors such a reactivity insertion is practically impossible to insert (in case of normal and abnormal operation), especially when a reactor is in power operation mode and a reactivity insertion causes a heating of a reactor core. Due to the presence of reactivity feedbacks the positive reactivity insertion is counterbalanced by the negative reactivity from moderator and fuel temperature coefficients. The presence of delayed neutrons is of importance also from this point of view, because they provide time also to reactivity feedbacks to react on undesirable reactivity insertion.